Edmonton may have a problem. It has too many new homes and not enough demand to fill all of them at this time. That could be considered both a good and bad problem to have, depending on who you are and what your perspective is. Right now there are three cities in Canada that have overbuilt new housing– Edmonton, Calgary and St. John’s, N.L. With regards to Edmonton, a building boom got started before the 2015 recession and didn’t slow down. Since large projects like apartment buildings take several years to construct, what got started a couple years ago is only now finally finishing up with the idea that these new housing units are just about ready for tenants and owners. The problem is, however, that demand has gone down in recent times. To further complicate matters, Edmonton has a lot of competition in the rental market these days. In particular, there are a lot of condo apartments available that haven’t been occupied or sold. That said, the market is expected to become more balanced next year and in 2019. Some experts think it’s already balanced itself out. One good thing about all of this is that prices in Edmonton are stable. As the job market gets stronger, the housing market in places like Edmonton improves. Perhaps now is the “right time” to invest in real estate in the Edmonton area since supply exceeds demand. That could mean there are some good bargain deals waiting to happen, and Alexis Homes can help you find them. If you’ve been contemplating the big move to Edmonton for a while, now’s the time to explore places to live. Why not enlist the help of Alexis Hlady, your Edmonton realtor who can provide attentive and professional service? She has more than a dozen years of experience in the Edmonton market and her company, AlexisHomes, is all about connecting people with what they’re looking for, from castles to condos and everything in between. 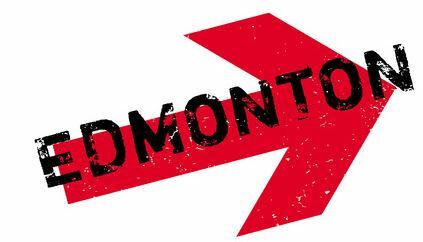 Find out what’s affordably available in the Edmonton area by calling Alexis Homes today at 780-483-4848. It’s a great time to find brand new housing in this part of Alberta.